Peugeot showed its first car at the Paris Exposition of 1889 and had already been manufacturing bicycles for seven years at that time – the Grand Bi was a Penny Farthing style bike which went on sale in 1882 and became one of the key factors in establishing the company’s reputation for quality engineering. In the subsequent 128 years, Peugeot’s commitment to bicycles has ebbed and flowed, with the bicycle division being separated from the automotive company and subsequently re-embraced. Bicycles have been humanity’s most popular personal transportation device for the last century, having outsold the automobile every year to the present day and recognizing that the marketplace for personal transportation will diversify rapidly over the next few decades, the French giant has developed the most complete range of options available anywhere under one brand – two wheelers powered by humans, electric and gasoline, a hybrid three wheeler and a range of electric, gas and hybrid four wheelers. More than any other marque, Peugeot has explored the combination of electricity with other forms of motive power to develop transport suitable for niche markets. 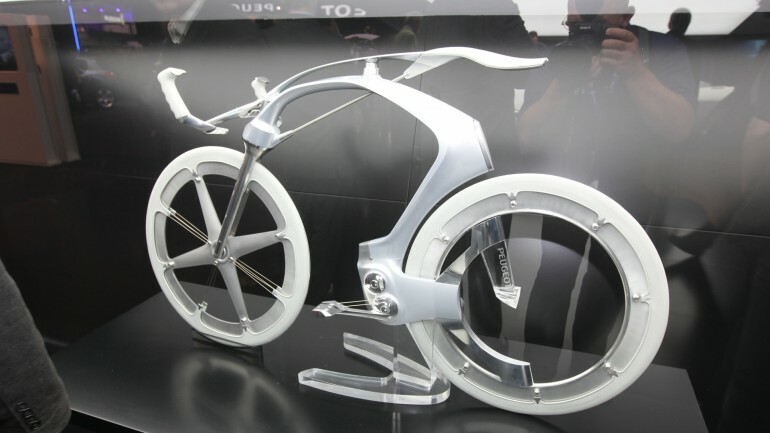 It is hence logical that the growing electric bicycle marketplace deserves development and exploration and a close look at the electric racer concept indicates they’ve been thinking well outside the square. 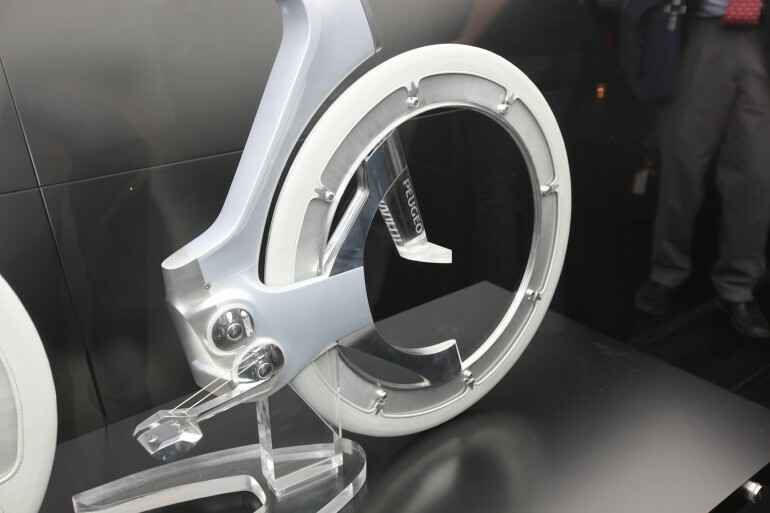 Firstly, there are no hub motors. Hub motors are common to nearly all electric bicycles as they represent the easiest way to electrically power a two wheeler while keeping it light and still having enough room for the batteries. 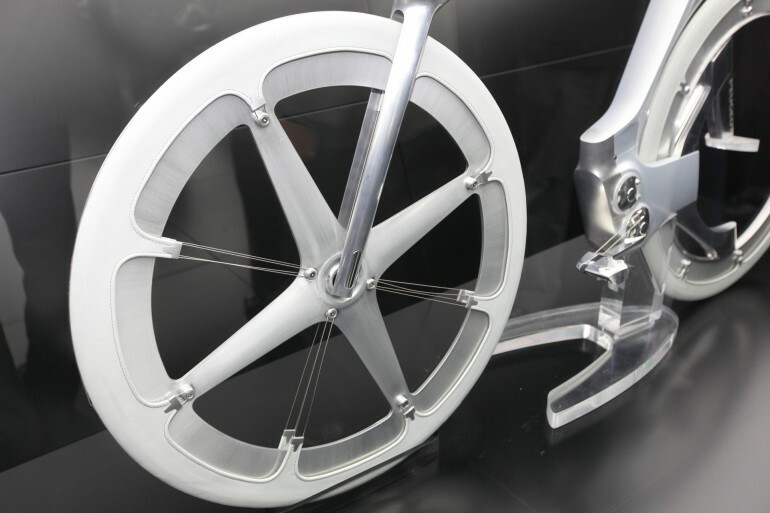 Whatsmore, the concept appears to have two “cranks” – one for the electric motor and one for the human powered crank, both residing in the main frame of the bicycle indicating that the electricity will most likely be fed in as pedal-assist. The other thing notably lacking in the concept machine is a final drive – now we may be clutching at straws here, but is it possible that the final drive will be something other than we’re accustomed to? 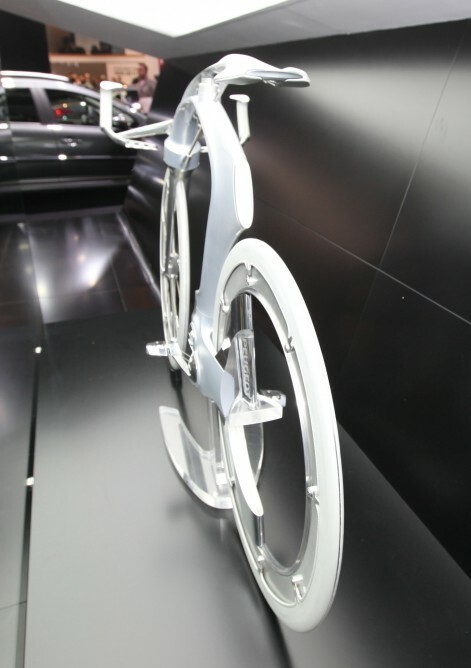 The chain drive is lightweight and as efficient as it’s possible to get, but logically, if Peugeot is to compete in this marketplace, it needs to differentiate its products from those of the many Chinese electric bike manufacturers and our guess is that a few patentable technologies are in the pipeline. 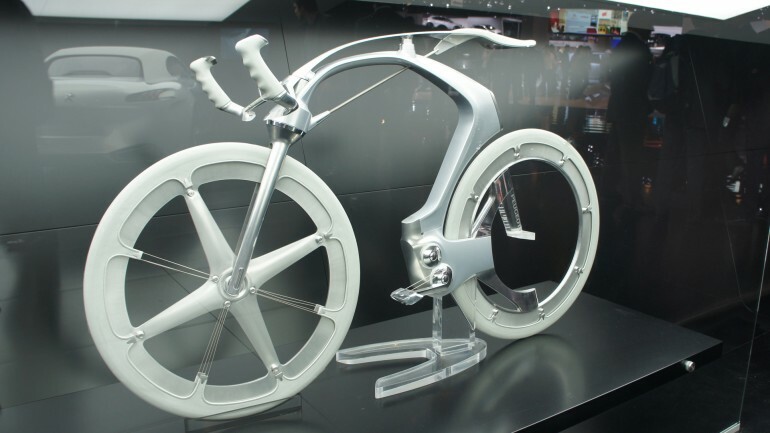 Peugeot’s recently announced partnership with Cycle Europe, Europe’s leading bicycle manufacturer is another pointer to its commitment to the market and to the application of its IP and R&D facilities. Peugeot already has a strong relationship with Sanyo, the world’s largest rechargeable battery maker, where it sources batteries for its hybrid automobiles. Peugeot has positioned itself better than any other company to cover all the logical sub-markets in the personal transport spectrum. It will be the first automobile manufacturer to offer an electric scooter in 2011, has a hybrid three wheeler set for production later this year, and is showing a pedal assist bicycle at Paris which will also go into production. The more we stopped and stared at this concept, the more we figured there was a lot that Peugeot wasn’t saying. Stay tuned!